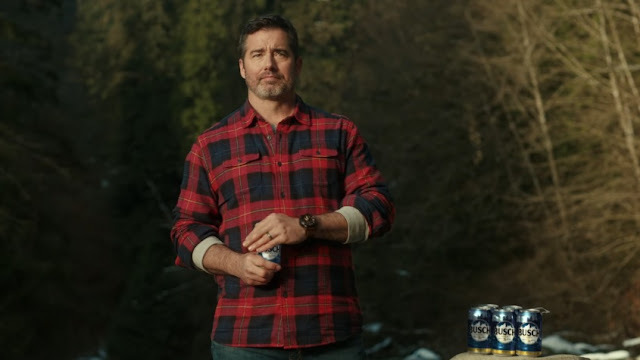 Busch Beer has a new spokesman and a new can in for it's 2017 Super Bowl 51 commercial "Buschhhhhh". Same crisp, cold taste, they call him Busch Guy, and he’s as much a man of his word as he is a man of the outdoors. Spoiler alert, this commercial ends with BUSCHHHHH. “We’re excited to be reintroducing Busch to the country at the big game. The creative, shot by director Harold Einstein, pays homage to the classic elements of Busch advertising while putting a fresh, comedic spin on it for today,” says Dan Kelleher, Chief Creative Officer of Deutsch NY in a statement.